Friday my work hosted a summer party at the beach complete with mai tais, surf, sand, and an amazing sunset. I'm pretty sure there is nothing more gorgeous than the sun setting over the Pacific Ocean in Southern California. That last picture is with no filter - our beaches are that beautiful. Welcome to another weekly installment of Monday Morning Gossip! Can we talk about how amazing my weekend was? 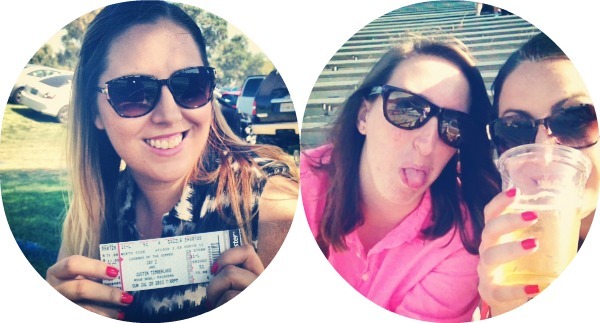 I went with Kate of Nautical By Nature to see Justin Timberlake and Jay Z. The tour is called The Legends of the Summer for a reason, because these two are mind-blowingly good. I've never been a huge Jay Z fan. That's not to say I dislike him. His music's cool but I'm just indifferent. And while I like JT enough, I had never bought any of his albums until this latest one and I don't love it. I think half of the songs are amazing and hate the other half. But I knew this concert was a must and had to see it. It was so much better than I could have imagined. Jay Z was incredible. I am going to download all of his albums. I'm newly obsessed. Justin's voice is just as perfect live as recorded. He's the epitome of an entertainer. And the fact he's hot doesn't hurt. If you haven't seen them in concert, DO!! I uploaded a few videos to Instagram, but couldn't figure out how to get them uploaded to the blog. 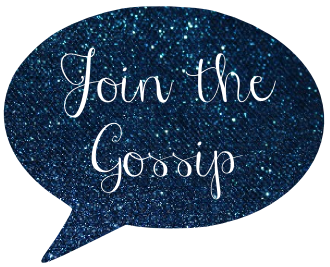 If you want to see them, follow me, @jointhegossip! The countdown has begun! Sunday the Legends of Summer tour makes a stop in LA. I'm pretty excited for the show, it's going to be insane. Right now I am OBSESSED with Holy Grail and looking forward to hearing that song live more than any other from JT or Jay Z. Pusher Love comes in second as favorite song. Full recap next Monday for sure! 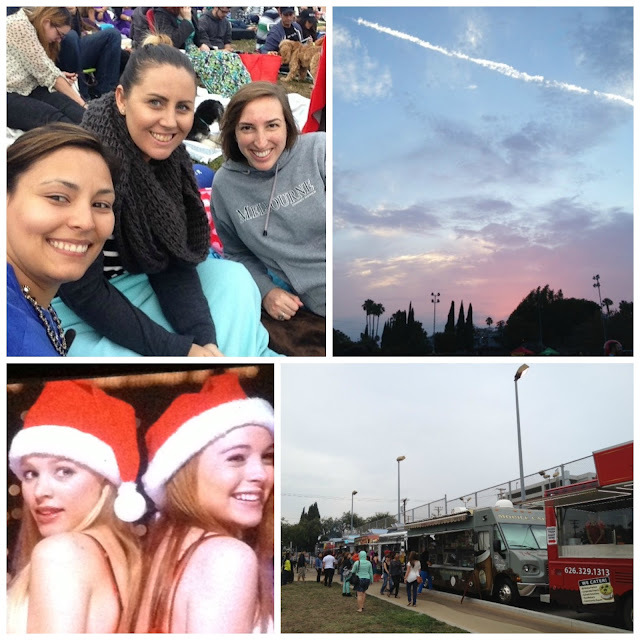 This weekend I attended my first-ever movie in the park. LA has several companies that put on these events each summer and I've wanted to go for years. When I saw a Living Social for Street Food Cinema offering two tickets for $9 and noticed they were playing Mean Girls right near my apartment I was sold. I brought along two of my blogging (and IRL) buds, Kathrin of Shop.School.Sleep. and Kate of Nautical By Nature, for an evening of food trucks, live music, and teen movie goodness. Unfortunately it sprinkled on us for awhile (which is almost unheard of in LA!) making our blankets damp but luckily it wasn't too cold. Eventually it stopped just in time for sunset and despite that bump in the road the rest of the experience was so much fun! There were so many people and tons of food trucks so before the movie we chowed down on a variety of different food. Kathrin and I shared everything. We got delicious tacos from the Vizzi Truck, some solid sliders from Me So Hungry, and - my favorite of the night - amazing apple fries from The Fry Girl. By the time we were done eating Mean Girls was just starting so we made ourselves comfy and enjoyed the movie. I've been on a huge shopping kick lately. I don't know why, but I can't get enough online shopping in. One site that I could do some major damage on is Rosie True. They have designer names, staples pieces, and current trends. Done, done, aaaand done! Check out the women's clothing online of RosieTrue.com! Disclaimer: I was contacted by Rosie True to review their site. All opinions are my own. Shopbevel is an awesome site dedicated to helping independent jewelry makers get their work out there. Designers from all over the world submit their creations that are posted on the site, from there the community votes on their favorite baubles, and those with the highest votes get to have their work produced. Pretty cool right? It's amazing how someone doing what they love can get the exposure to have a big break. I have a pair of Emerald Glitter Rhinestone Earrings that were chosen as the winner of Indian Summer design challenge. They're super cute and I can't wait for my next fancy affair to wear them to. These studs are provide quite a pop of glitz. The size is perfect and while they look really heavy, they're lightweight and comfortable. Post Powered by BrandBacker. I received the earrings for free but the opinions are completely my own. Oh, Monday. You always creep up so quickly, you sneaky jerk. At least I got a little R&R in this weekend. 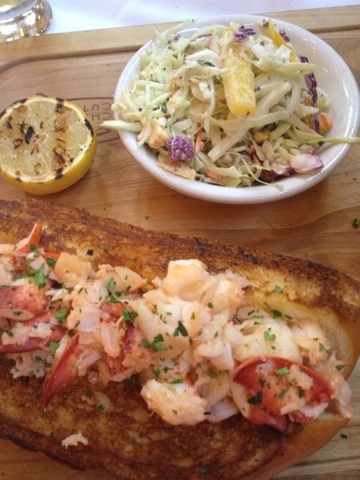 Saturday, I saw The Lone Ranger and had oysters and a lobster roll at one of my favorite restaurants. It was the perfect lazy summer afternoon. Sunday, I did a little shopping. And on both days I took a few naps. 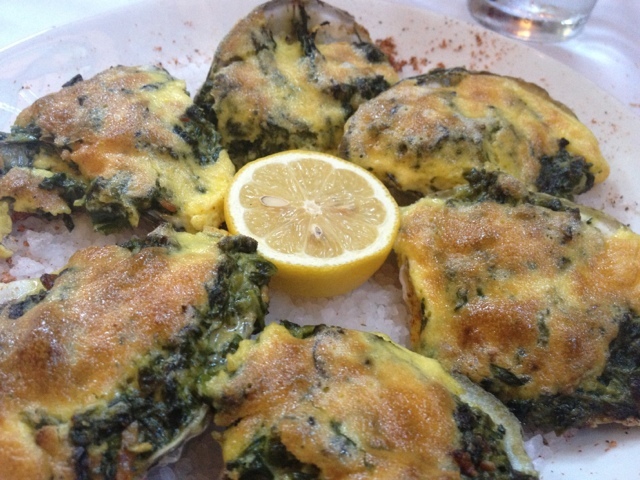 No complaints here! 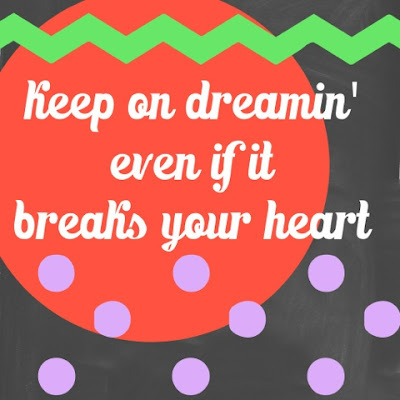 Since we do have to start a new work week, here's a little inspiration to kick off your Monday! When we got the topic for this week's Fridays Fancies - tanked - I immediately thought of alcohol. Whoops! But then I created this nautical outfit that makes me want to head to the beach, sit at a seaside cafe...and get some drinks. Double whoops. I guess I just need to accept the fact that it's been a long two weeks and I need to unwind. Last weekend was hectic, I made a 24-hour roundtrip drive to Arizona for a funeral. Five hours there and back. This week I had to deal with new apartment management bs and a few days of headaches. I need a break. Universe, please let this weekend be amazing! Have a great weekend and I'll see you back here on Monday for Monday Morning Gossip. All topics are accepted so come join the fun! Check out all of the discount perfumes at BeautyEncounter.com! There are really great deals on all of your favorite scents. Yeah, she's already married so My Best Friend's Wedding wouldn't work. But anyways, this Saturday was Kathrin of Shop.School.Sleep. 's birthday and we had a great time celebrating. 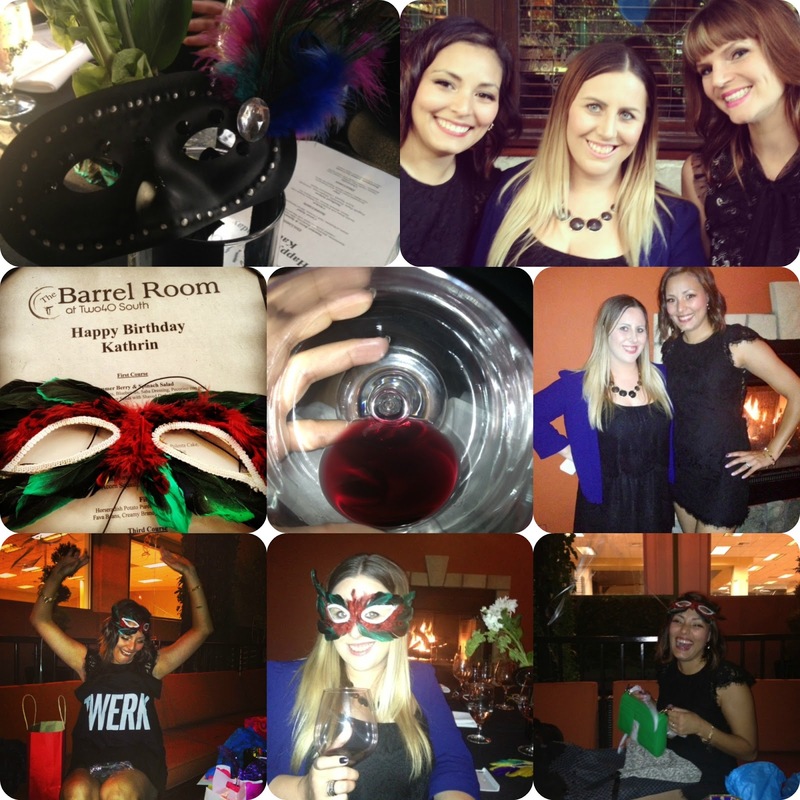 It was her 30th so she went all out at a wine bar/restaurant in Orange County called The Barrel Room at Two40 South. The place was perfect for an all-out bash. We had a great three-course meal, delish wine, and a blast celebrating Kathrin's big day. The last row has a pic of Kathrin with the twerk shirt I got her, she can twerk when she drinks. It's terrifyingly awesome. And the other photo is her opening the gift that her two sisters and I got her, a Rebecca Minkoff bag. To Kathrin, my best friend who has been an incredible person in my life since 6th grade (over half of our lives! ), HAPPY 30TH! Also linking up for Funday Monday & Miscellany Monday! Happy 4th of July! Remember the reason for the holiday - our independence and freedom. Now go have some firework fun, without blowing your fingers off.